Multimedia artist, Bat-Ami Rivlin, creates installations, sculptures and digital artworks that explore bodily functionalities and roles in different social and artificial spaces. Concerned with what the artist terms as the 'performative aspects of the body', Rivlins work examine objects in the context of their interaction with the human body. 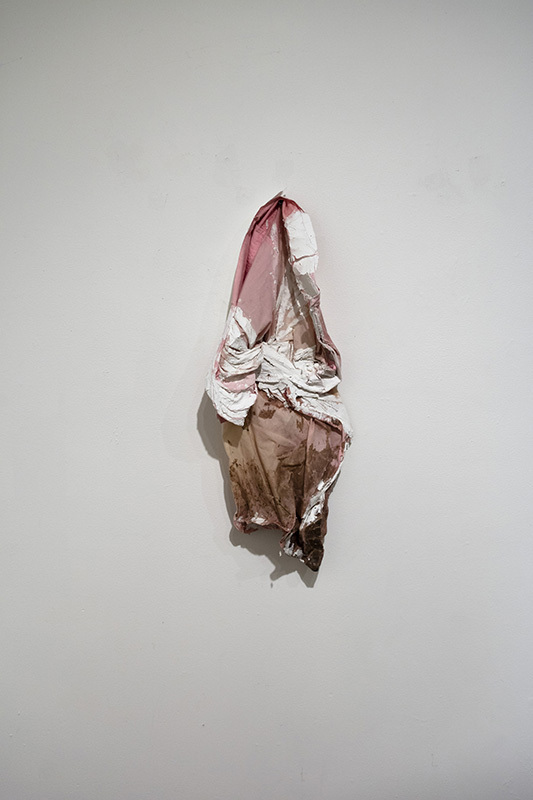 Using found objects and scrap materials, the artist allude to the meat-like properties of the human flesh. Seeking to create a space between flesh and object, Rivlin’s work disrupts the designated social capacities for bodily existence and reinserts the corporal into domestic, intellectual, and intimate contexts. Bat-Ami Rivlin is a New York-based Israeli artist. Receiving her Bachelor’s in Fine Arts from the School of Visual Arts in New York City, her work was featured in galleries in Israel and in New York including ‘The Tide’, at SVAs Flatiron Gallery, 'Seeking Space' at David & Schweitzer Contemporary, and ‘One Earth One Consciousness’ at BronxArtSpace. Her performance work was featured at Torus Porta performance space. Rivlin is the recipient of SVAs Fine Arts grant for 2014, as well as SVAs Bronze Casting grant for Ben Keating Foundry at MANA Contemporary. Her work was featured in online publications such as Float Magazine and Peripheral Vision Arts. She completed SVAs Sculpture residency in 2015 and Arts Letters and Numbers residency in 2016.